What is the 30% Federal Solar Tax Credit? The 30% Federal Solar Tax Credit is currently a free government give-a-way for those who purchase Solar PV Systems. When you purchase a solar photovoltaic system, you can claim a 30% Federal Solar Tax Credit of the cost of the system. The total cost of installing solar less any incentives provided to you by your utility company or state, is what you can claim for the credit. This applies to residential and commercial businesses. For residential, it applies not only to your primary residence but includes 2nd homes, vacation homes, rental properties, house, houseboat, mobile home, cooperative apartment, condominium, and a manufactured home. All commercial properties are included with solar installations. The total cost of the solar system includes solar panels, inverters, any related equipment, electrical upgrades, engineering, permits and taxes. The total cost paid to your solar installer or solar company. Anyone who buys and installs a PV system and pays Federal taxes is eligible for this solar incentive. 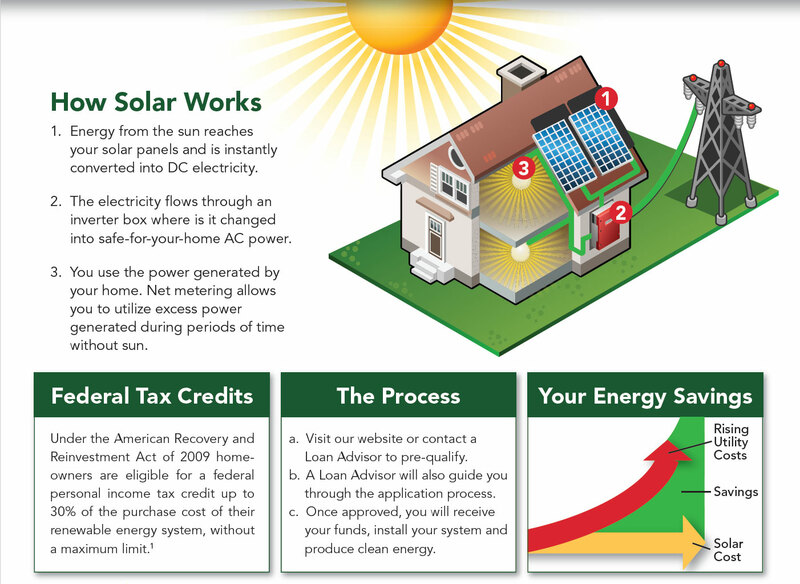 The solar tax credit is a dollar for dollar credit. There is no limit to the amount of the credit. For example. If you purchased a $20,000 system you would get a $6,000 credit. Your net cost for the system would be $14,000. With a $100,000 solar installation (typically larger commercial systems) you would receive a $30,000 credit. Your net cost for the system would be $70,000. If you owed the IRS $10,000 for the year and you received a $6,000 solar tax credit, you would only owe $4,000. Who is Eligible for the Federal Solar Tax Credit? To qualify you must own the solar PV system. That means you must pay cash or finance it with a solar loan. Renting solar panels or buying electricity with solar leases or a power purchase agreement (PPA) do not qualify for the credit. For leases or PPAs the solar tax credit goes to the company that owns the system. You need to owe at least the same amount of taxes for the year to take the credit. If the credit exceeds your tax liability for that year, it can be carried forward to the following tax season. Will the Solar Tax Credit Expire? After 2022 the residential credit is eliminated. Commercial solar installations will remain 10% thereafter. Once your PV installation is complete, you or your accountant file an IRS Form 5695 with the income tax forms you file for the year the installation was completed. Instructions for Form 5695 can be found on this guide. * This is provided as information only and not as tax advice. Please consult a Tax Professional for your specific situation.